At Transmetron we provide the equipment, training and support to help you administer workplace alcohol testing. Whether you are performing pre-employment, post-accident, random or DOT mandated alcohol testing, we have the alcohol testing device for you. Transmetron is a certified distributor and master trainer for Lifeloc evidential breath alcohol testers and BAT training. All of Lifeloc's EBTs provide fully automated operation, simple electronic calibration and easy to understand prompts and full text alerts. The Lifeloc Phoenix 6.0BT and EV30 evidential breath alcohol testers are DOT/NHTSA approved and included on the DOT conforming products list. Lifeloc's EBTs are engineered and manufactured in the United States using a full sized platinum fuel cell alcohol sensor for long life and reliability. 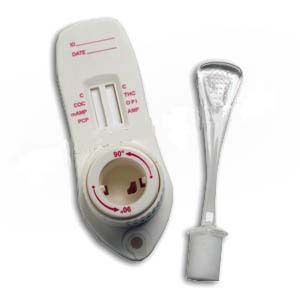 These instruments are widely regarded as the easiest to use, most dependable and trouble-free devices in use today for both DOT and non-DOT breath alcohol testing. Lifeloc EasyMode software guides you through each step of the DOT alcohol testing protocol to ensure error-free compliance in any testing situation. Transmetron is certified by Lifeloc a Master Trainer for Phoenix 6.0, EV30 and Breath Alcohol Technician Training that meets DOT 49 CFR Part 40 We can provide instrument and BAT training on-site or via the internet.